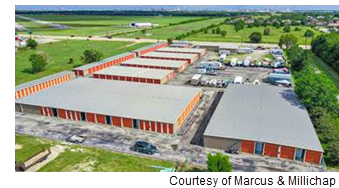 ​ LA PORTE –Spencer Mini Storage, a 56,875-sf self-storage facility at 11220 Spencer Hwy., as been sold. It is comprised of 11 single-story buildings. One building was constructed in 1977, but 94 percent of the property was constructed between 1995 and 1999. The LeClaire Group of Marcus & Millichap listed the property on behalf of the seller, a California family trust. ​Check out Houston-The Woodlands-Sugar Land Retail Market Research.